TAG Heuer has launched the next phase of its charm offensive for the Modular Connected 45, its second generation smartwatch that it’s hoping will be a hot seller. In the latest news, the iconic LVMH-owned brand has signed Tim Howard the goalkeeper for the U.S. Men’s National Soccer Team and the Colorado Rapids. 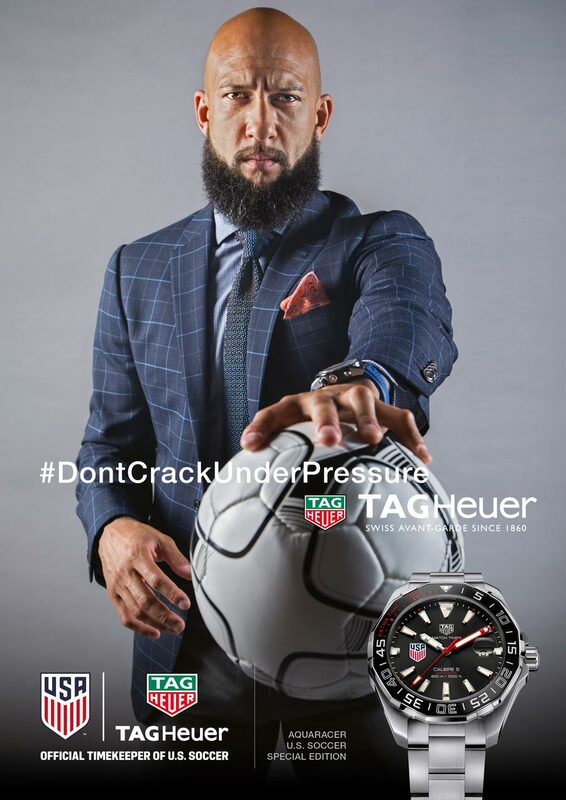 Heuer has added several Major League Soccer dials for the timepiece as they’ve signed him. Howard is the most “capped” goalkeeper in history for the U.S. Men’s National Soccer Team with a total of 118 matches to date and was the starting goalkeeper for the 2010 and 2014 World Cup teams. Howard played 13 seasons in Europe between two of the top Premier League clubs; Manchester United F.C. and Everton F.C., and joined the Colorado Rapids in 2016. 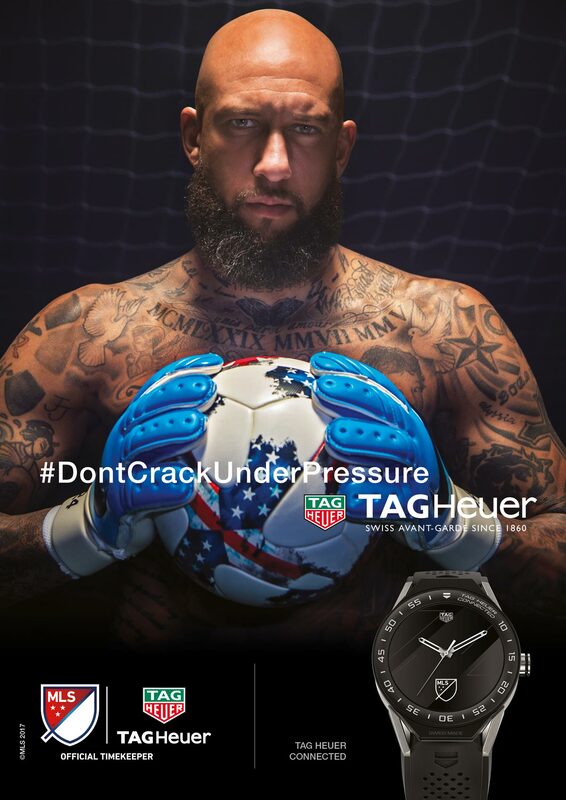 Howard now graces the latest installment of TAG’s #Don’tCrackUnderPressure campaign. A perfect fit to display TAG Heuer’s collection of watches. “We are thrilled to have Tim Howard as a representative of TAG Heuer,” said Kilian Muller, President of TAG Heuer North America. “It requires a special fearlessness to be a goalkeeper in professional soccer and Tim is one of the most daring. 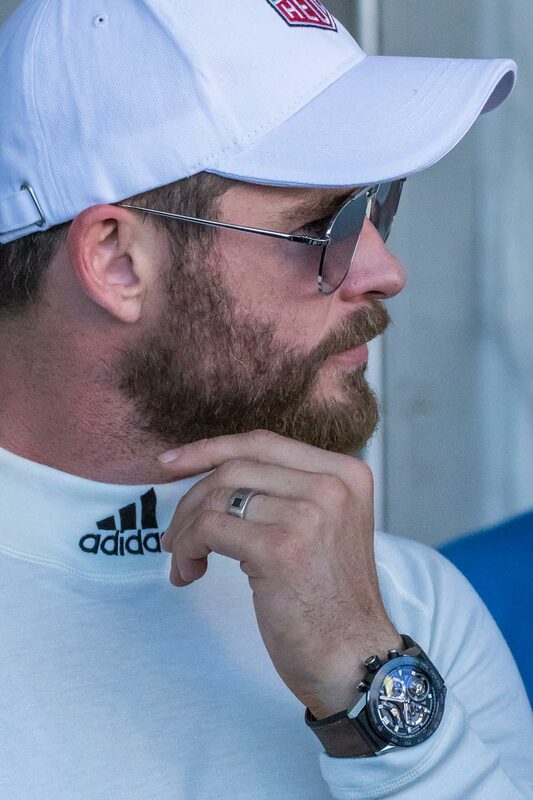 He performs his best when under pressure and in doing so embodies the #Don’tCrackUnderPressure spirit of TAG Heuer.” Howard added, “I’m proud to be a brand ambassador for TAG Heuer, one of the most iconic luxury sports brands in the world. We share the same dedication to precision and commitment to excellence under pressure, which makes this partnership a great fit.” Special Major League Soccer dials for the Connected Modular 45, will be available for all 22 Major League Soccer clubs, allowing fans to pick their favorite teams. TAG interviewed top players from each club about their experience playing for the team, city and fans to help design the dials. 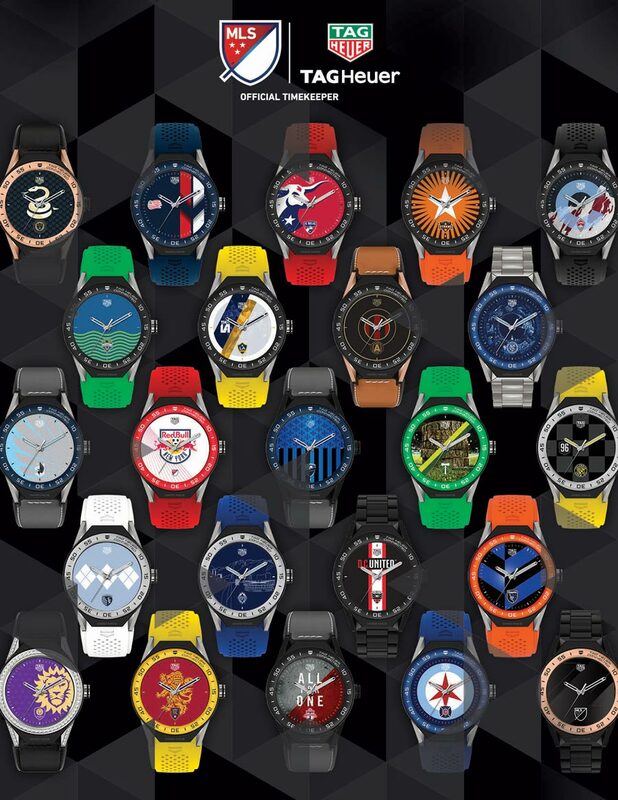 TAG Heuer is the Official Watch and Official Timekeeper of Major League Soccer and of the Professional Referees Organization in addition to the Official Timekeeper of the U.S. Soccer Federation. The brand also has partnerships with Manchester United, LaLiga in Spain, German Bundesliga, the English Premier League, Soccer Federation & Professional Referee Organization, the Copa America, the Chinese Football Association Super League, the International Champions Cup, and the Australia’s national team Caltex Socceroos. LVMH watch chief Jean-Claude Biver is obviously betting that soccer will become even more popular in the U.S. Howard, with his crackerjack skills and interesting aesthetic seem like a good choice to join ranks with TAG Heuer’s other ambassadors like Cristiano Ronaldo, Chris Hemsworth, and Tom Brady.